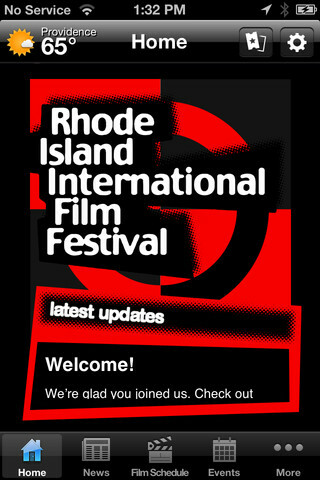 Providence, R.I. • Aug. 10, 2014 — The FLICKERS: Rhode Island International Film Festival (RIIFF) proudly announced the award winners for its 18th Annual Festival, on Sunday, August 10th at the annual Awards Ceremony held at The Metcalf Auditorium at the RISD Museum in downtown Providence, RI. Held from August 5-10th, 2014, the Festival had another record-breaking year in attendance for ticket buyers and filmmakers, closing out its Sunday performances with sold-out houses. The Festival screened 250 narrative, documentary and short films, from 62 countries, and 34 states across the U.S. during the six-day event that was held at locations throughout the state of Rhode Island. Films were selected from a record entry base of more than 5,400 submissions. This year’s Festival included 93 World, North American and U.S. Premieres. "This year, thanks to Steven Feinberg, Executive Director of the Rhode Island Film & Television Office and the City of Providence, we knocked the ball out of the park, raising the bar for future festivals,” said George T. Marshall, RIIFF’s Executive Director. "We welcomed over 200 international filmmakers from across the globe who were able to experience true Rhode Island hospitality. RIIFF is one of only 19 film festivals worldwide that is accredited by the Academy of Motion Picture Arts and Sciences (AMPAS) in the short film and documentary short category. The Opening Night Gala has become a crowd-pleasing “Salute to the Art of the Short Film.” This year, more than 1,800 people attended the event on August 5th at the Providence Performing Arts Center in the state’s capital city. RIIFF has seen 33 films that premiered at the Festival receive Oscar® nominations with seven (7) winning the Award; most of the films were part of the Opening Night program. In 2013, three films that premiered at RIIFF went on to receive Academy Award nominations: “The Lady in Number 6: Music Saved My Life,” from Directors: Malcolm Clarke and Nicholas Reed (Reed Entertainment); “The Voorman Problem” from Director: Mark Gill and Baldwin Li, producer (Honlodge Productions); and “Feral” from Director: Daniel Sousa (Daniel A Sousa Productions). 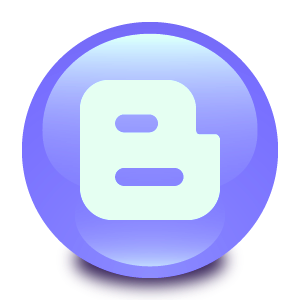 ““The Lady in Number 6: Music Saved My Life,” was awarded the Oscar®. The winner of the RIIFF Best Short and Best Documentary Grand Prize become the Festival’s nominees for Academy Award consideration. The 2014 Grand Prize winners are “Jennah” a Belgian production, directed by Meryem Benm'Barek that features a young women facing a difficult transition to adulthood and “Scattered,” directed by Lindsay Lindenbaum, a powerful film from the United States that explores the role photographs and home videos play in remembering the past. Actor, folk singer, musician, composer and activist, Theo Bikel was the recipient of the Festival’s 2014 Lifetime Achievement Award. His diverse and countless cinematic roles have left an iconic footprint in American film history. From his debut performance in "The African Queen" (1951) to his Oscar Nominating performance as the Southern Sheriff in "The Defiant Ones" (1958), Theo Bikel’s great talent has brought to life timeless characters and music. With the creation of the role Baron Von Trapp in the original Broadway Production of "The Sound of Music" (1959), he captured the imaginations of millions. His ties to Rhode Island are longstanding as he helped to create the Newport Folk Festival, one the longest running and most prestigious music festivals in the world. The 2014 Flickers: Rhode Island International Film Festival was dedicated to the memory of Ron Tippe, RIIFF’s former Producing Director who passed away recently. He played a major part in the development and growth of the festival and spent over 36 years in the entertainment business. He directed over 52 stage plays and 100 commercials, and was a Feature Animation Producer for DreamWorks Animation, WB Feature Animation (“Space Jam’), and George Lucas’ Industrial Light and Magic. Celebrating the passion of creativity within the world of cinema: The FLICKERS Rhode Island International Film Festival recognizes outstanding directors, actors, writers, film talent and those who have made significant contributions to the art of filmmaking with this semi-annual award. This year’s award recipient is Carol Patton, Publisher, Imagine Magazine. Presented semi-annually to an outstanding artist whose vision promotes tolerance, compassion and understanding. Named after the founder of Rhode Island, Roger Williams, who established an American tradition of religious freedom and individual liberty that was encoded in The Bill of Rights. This year’s award recipient is Eric R. Bronner, Rhode Island Musician/Artist/Educator. Flickers annually adjudicates a Screenplay Competition concurrently with the RI Film Festival. Last year, 371 submissions were received from throughout the United States and across the globe. The Grand Prize winners were Jenna Sullivan & Quentin James from Marshfield, MA for their screenplay “Growing Things. • Julibeth Andrews & Nancy Nicholson, Flickers’ Music for a While. Sponsored by the Government of Québec. Presented to a filmmaker and artist who represents the spirit of cultural exchange between the United States and Canada. Sponsored by Tourisme Québec. The award provides a full pass for a New England-based director to attend the Montreal Festival of Nouveau Cinema, meet with Québec filmmakers and stay in the City. Awards were presented by the Nickolas Palermo, RIIFF Youth Jury Program Manager, and 2014 Youth Jury members. The mission of the 33 year-old Flickers Arts Collaborative is to serve as a creative partner in the arts by uniting various media and arts disciplines that nurture the artistic process and support a vital part of our community. This includes multi-disciplinary art presentations; artistic and cultural activities; performance festivals; video and television productions and exhibition; audio recordings and broadcasts; educational outreach programs; and the FLICKERS: Rhode Island International Film Festival (RIIFF). 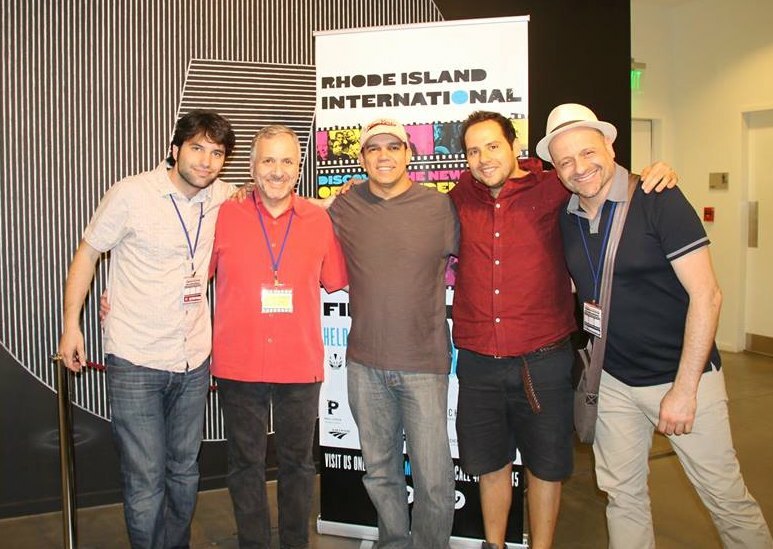 The FLICKERS: Rhode Island International Film Festival (RIIFF), has secured its place in the global community as the portal for the best in international independent cinema, earning the respect of domestic and foreign filmmakers, filmgoers and trend watchers. RIIFF is widely recognized as a credentialed, industry-friendly launch pad for the work of exceptional emerging talent. This confluence of art and commerce brought together world-class celebrities, award-winning filmmakers, new talent and audience members in record numbers last year. Ranked as one of the top 10 Festivals in the United States, RIIFF is also a qualifying festival for the Short Film Academy Award and the Short Documentary Academy Award through its affiliation with the Academy of Motion Picture Arts & Sciences. 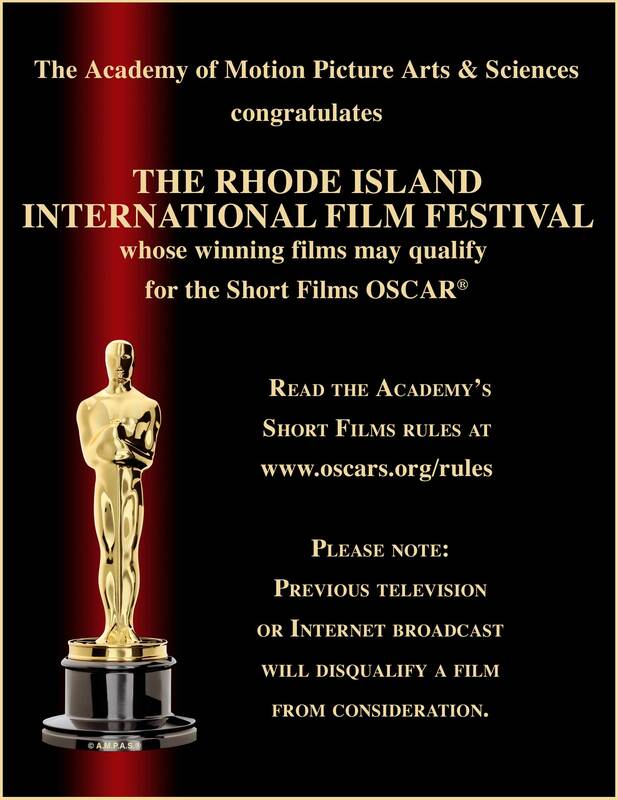 There are 19 film festivals worldwide which share this distinction and RIIFF is the only festival in New England. RIIFF is truly a place where the stars align!